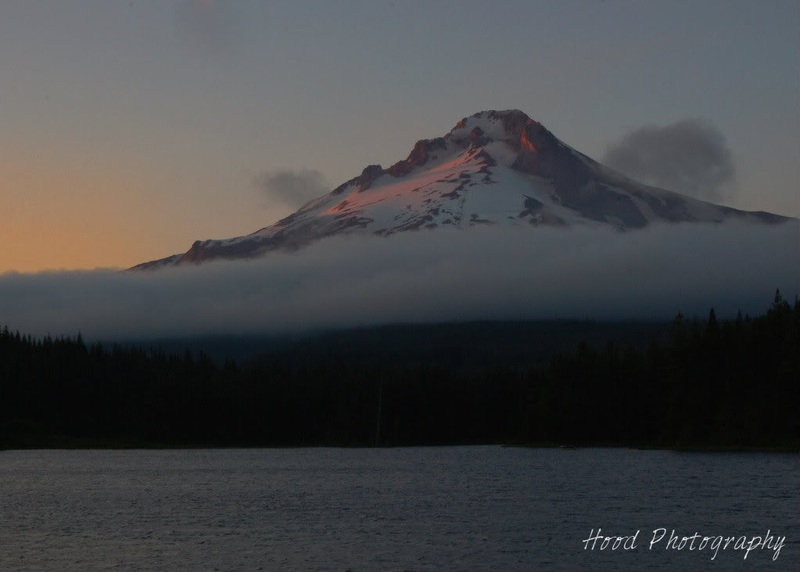 Another beautiful view from my favorite location, Trillium Lake. The sunset that night was not very intense and the low lying clouds were gathered right up to the timber line. I was still able to capture the pink light reflecting off the summer snow pack on the west facing side of the mountain, and the glow from the setting sun. Beautiful capture! The low clouds remind me of the fog in San Francisco. The soft glow of pink on the mountain really makes this shot. Exquisite. The clouds right across the center are fantastic! What a gorgeous capture of a gorgeous mountain! I love it! Happy SWF! Enjoy your weekend! How wonderful this is! Moody, soft and beautiful! Gorgeous - what a view! The brush of pink across the snow is so magical! Gorgeous, romantic view! What a beautiful shot of Mt. Hood. Gorgeous! Enjoy your upcoming weekend! Beautiful lighting and I love the Mountain. Great shot of Mt Hood. WOW!! What a view and amazing capture!!! Have a great weekend! Simply gorgeous! Happy sky watching and a great weekend too. Your comment on my Sky Shot will be greatly appreciated. Wow! Amazing scene! Beautiful captured! Nice picture - not everything has to be an explosion of colour to be good! Hello Sarah, very good to meet a fellow nature lover. I found your blog through Skywatch. You have a lovely image here. Happy Skywatching!